On December 7, 1938, a BBC radio crew visited Sigmund Freud at his new home at Hampstead, North London. Freud had moved to England only a few months earlier to escape the Nazi annexation of Austria. He was 81 years old and suffering from incurable jaw cancer. Every word was an agony to speak. 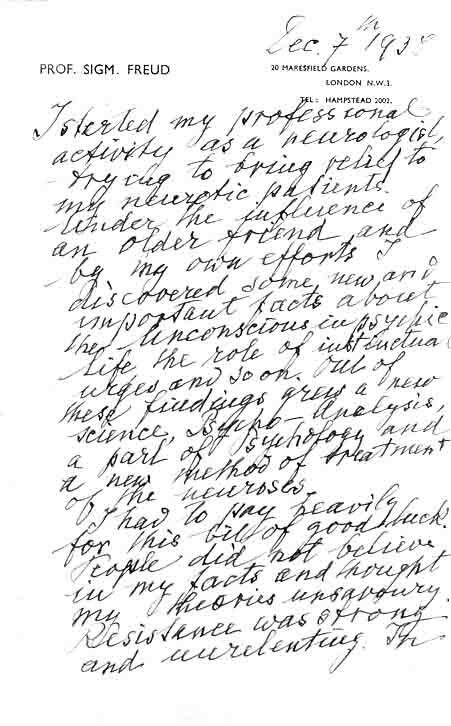 I started my professional activity as a neurologist trying to bring relief to my neurotic patients. Under the influence of an older friend and by my own efforts, I discovered some important new facts about the unconscious in psychic life, the role of instinctual urges, and so on. Out of these findings grew a new science, psychoanalysis, a part of psychology, and a new method of treatment of the neuroses. I had to pay heavily for this bit of good luck. People did not believe in my facts and thought my theories unsavory. Resistance was strong and unrelenting. In the end I succeeded in acquiring pupils and building up an International Psychoanalytic Association. But the struggle is not yet over. --Sigmund Freud. Note: An earlier version of this post appeared on our site back in May, 2012. 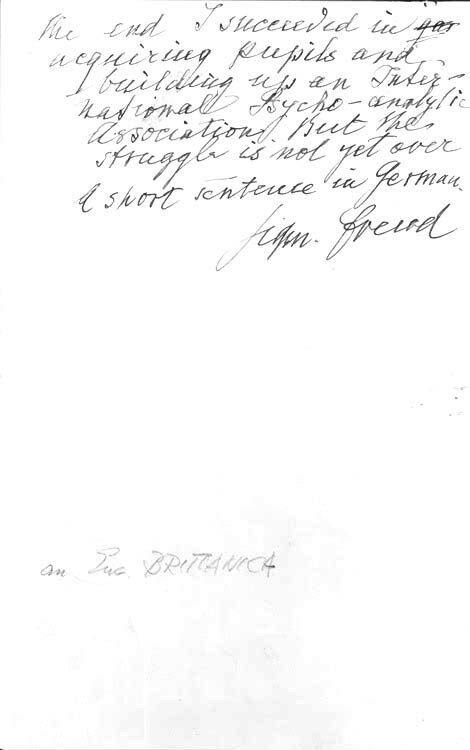 Any idea, why the letter’s last line reads “a short sentence in german”? Probably to get him on record in his native language. And if this is the only known recording of his voice, I hope they recorded a bit in German.